It is our hope Uniting News continues to help you grow, transition and innovate as the people of God. Discoveries camp—an activity of the South Moreton Presbytery for children grade 3–7 in 2018. Registrations have now closed. For information see website. Safe ministry with children training hosted by The Downs Presbytery. RSVP required. 9:30 am–12 pm. 71 Condamine St, Dalby. "Faith that lasts" two-day seminar and workshop with Jake Mudler hosted by Real Life Christian Church. Registrations close 12 February. Costs: $59–$99. See website for more details. 9 am–4 pm. 129 Dennis Road, Springwood. For events in future months scroll through the events calendar online. Submit your Uniting Church event. For more about these events visit Events. Know someone who might be interested in receiving Uniting News? Send it to them now. Something to share? Submit it here. To receive Uniting News each week. 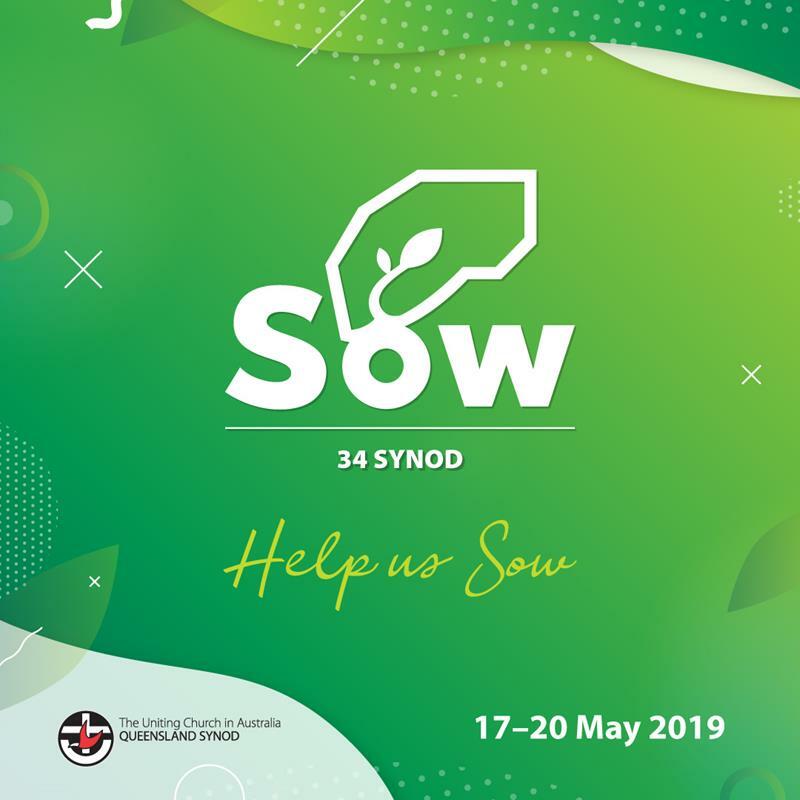 Join us as we sow at the 34th Synod in Session! In May 2019, members of the Queensland Synod will gather at the Alexandra Park Conference Centre on the Sunshine Coast for the 34th Synod in Session. We want to make sure that those who will be driving our future strategy are part of this discussion. As such, we are seeking a broad representation of gender, age and multi culturalism, particularly those aged 25 to 45, who are passionate about the life of the Uniting Church. To help promote this event within your congregation, a range of digital assets are now available online. If you would like to be part of these discussions, speak to your Presbytery Minister or congregational minister. The General Secretary of the Queensland Synod has announced the appointment of the new Associate General Secretary. Rev John Ruhle, currently Presbytery Minister of the Moreton Rivers Presbytery has agreed to take up this placement in mid-March 2019. John will lead the strategic mission team and is responsible for healthy and vital ministry development in Queensland on behalf of the Synod office. Moreton Rivers Presbytery will begin a call process for their new Presbytery Minister shortly. Redcliffe Uniting Church is an exciting and dynamic congregation going into new territory with Christ on the northside of Brisbane. We are looking for a gifted and passionate person to grow our youth ministry and youth ministry team into the future. Working with our regional youth group, planting a youth worship service and Sunday morning youth ministry are the main areas for this 12 hours-a-week position. See position description. Applications for this position close 18 Feburary. We are seeking an individual to join our Office and Events team and focus on providing high level administrative support to the Office and Events Team with an emphasis on event coordination. 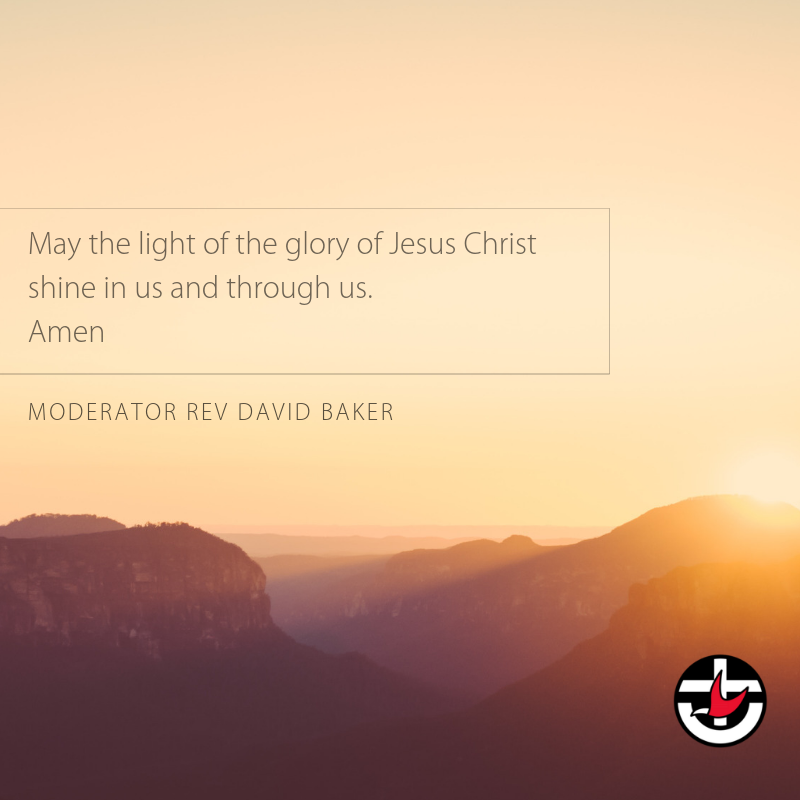 This position also supports the Multi Cross Cultural Reference Group, the Synod Chaplaincy Commission and the Board for Christian Formation. Please see the position description on the Queensland Synod website. Applications for this position close 16 January. Recent changes have been made to most modern awards in regards to casual employment. A regular casual employee has the right to request that their employment be converted to permanent, and the employer can only refuse the request on reasonable business grounds. if so, follow the notification obligations. Effective from 1 January, a notification must be sent to existing casual employees. Thanks to all congregations and presbyteries who participated in the survey conducted in December 2018. The results and questions/comments were very helpful. We will be progressing to a pilot phase of the project in February once the project has been approved. We will be setting up a webpage to provide information to interested people. Look for more exciting updates in future editions of Uniting News! The Synod Standing Committee has recently approved a Synod Wide WHS Framework Policy (D/1.1) which will provide a framework for the Queensland Synod to manage its Work Health and Safety (WHS) obligations and to provide a consistent and systematic approach across the Synod. This will be achieved through the provision of a flexible and legislatively compliant Work Health and Safety Management System, consistently embedded across each organisation of the Queensland Synod as well as a culture of zero tolerance for uncontrolled foreseeable risks. We request that from 1 January 2019, a copy of all safety incidents/ near misses are also sent (emailed, faxed or phoned) to the Queensland Synod office WHS, using the existing Incident Report Form if possible. We have consulted with congregation members and other relevant staff to finalise this process and flowchart. If there are congregations in presbyteries without internet access please provide them with a hard copy or request the Queensland Synod WHS to provide one. This chart would be useful to display in areas of activities/worship and can assist volunteers and staff to know what to report, how and to whom. This chart can be included as part of a new staff member’s induction to your work/worship areas. Please do not hesitate to contact the WHS Manager should you require clarification or assistance. At this time each year the few congregations that have a passenger lift are required to re-register these with WorkSafe Queensland online application. For more information or assistance contact Christine Przibilla, Work Health and Safety Manager. The Queensland Synod is committed to protecting the personal information of its members and clients, in accordance with the Privacy Act 1988. Posters promoting this commitment have been printed and posted to all congregations. We ask you to place a poster in each building. If you do not receive your posters please contact Terry Selva, Manager Risk and Compliance. Following the very successful national UnitingWomen Conference held in Brisbane in September 2018, a small group of women from the south-east Queensland presbyteries are planning a one-day women’s gathering in 2019, with the approval of the presbyteries and the assistance of the Synod. The program will include worship, music, an inspiring speaker, lots of electives, creativity, food. The electives will include some especially for teenagers, though of course teenagers will be welcome to attend any of the electives. Further information and contact details are available on the flyer. You are receiving this because you subscribed to the Uniting Church Queensland Synod News (Uniting News) or because you are in specified ministry within the Uniting Church, a Queensland Uniting Church church council member, or an employee of the Queensland Synod. Unsubscribe | Having trouble unsubscribing? You may be required to receive Uniting News as part of your position within the Uniting Church. No longer in that position? Update your details in UConnect now.